Virtualization & Cloud Technology: What is VMM (Virtual Machine Monitor) ? 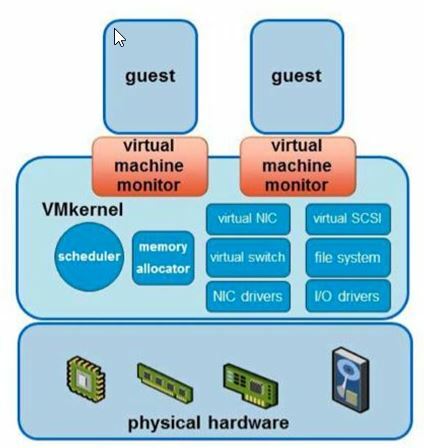 The VMM is a thin layer that provide virtual x86 hardware to a virtual machine’s guest operating system. VMM is instances are as per number of VMs. Per VM there is one VMM instance dedicated to that VM and taking care of all requirement related to that VM (CPU/RAM/Disck/Network).